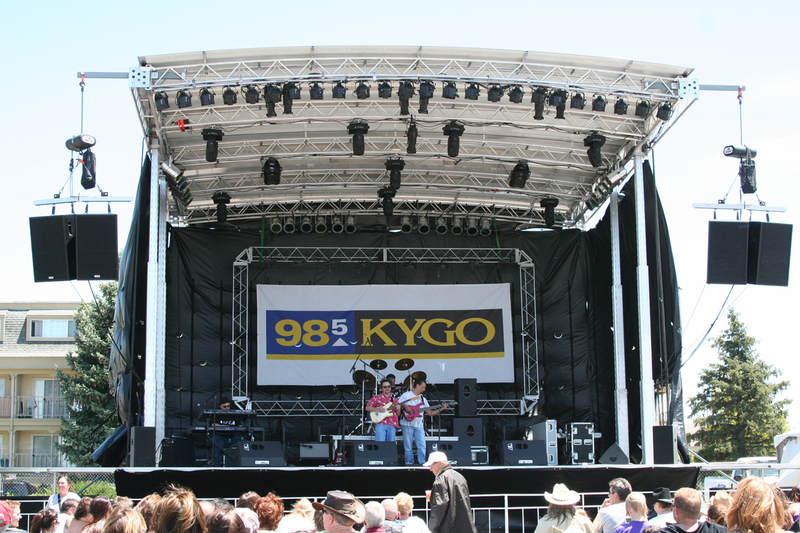 Our Mobile Stage program offers amazing options in outdoor staging production. We have several stages available in a variety of sizes and configurations that are suitable to meet your needs and budget. 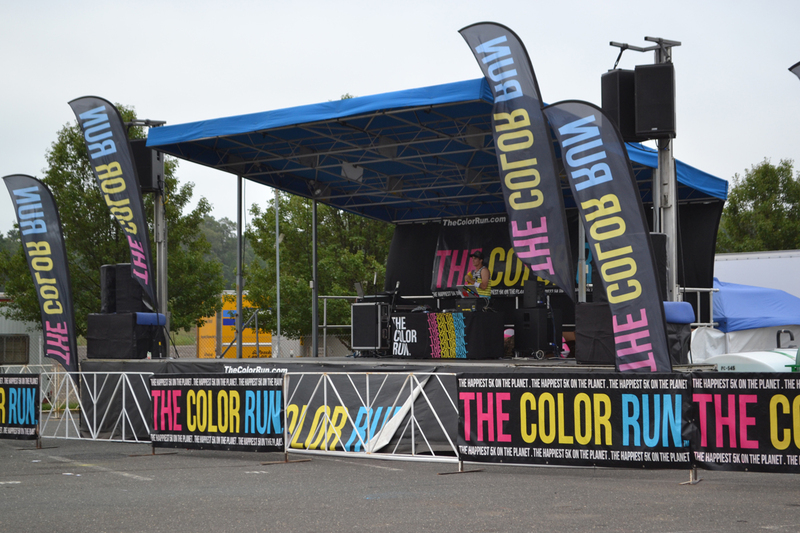 Your Mobile stage can also be customized with banners and graphics to create a stage that’s all your own. Set up is fast! 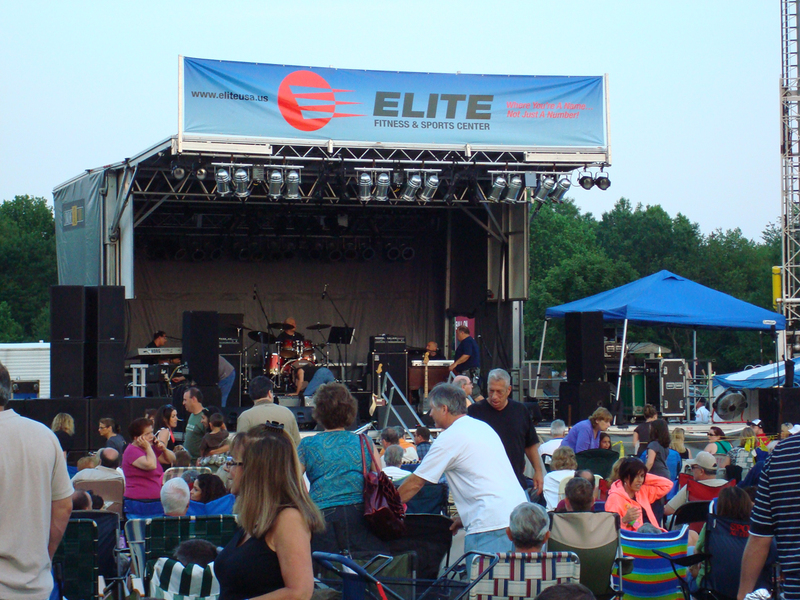 Our stages are engineered from the ground up to perform in almost any outdoor setting. We provide fast, reliable, hassle free service. 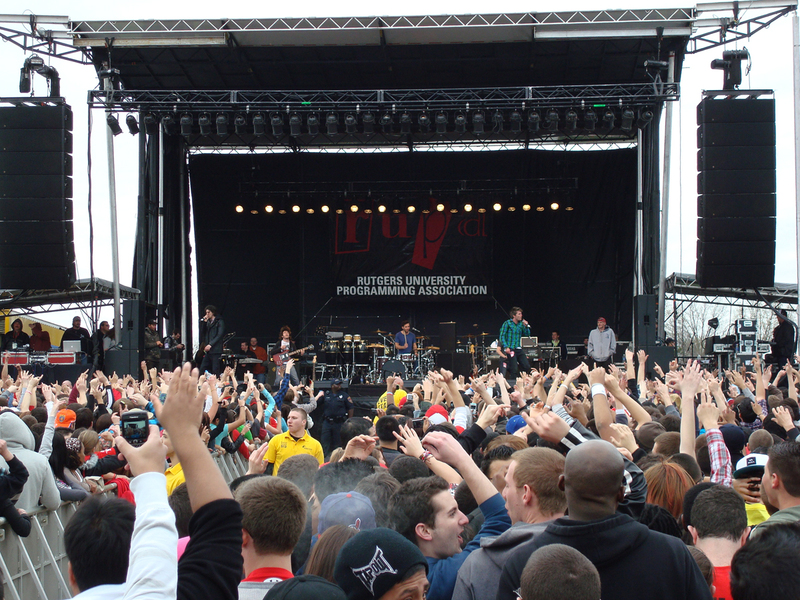 ASi also offers platform stages in any configuration and height imaginable. 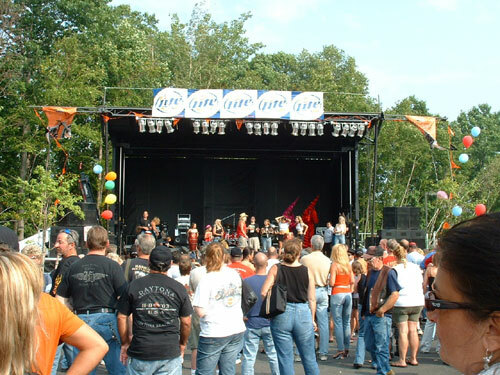 Ask how an ASi Mobile Stage can work for you at your next big event. 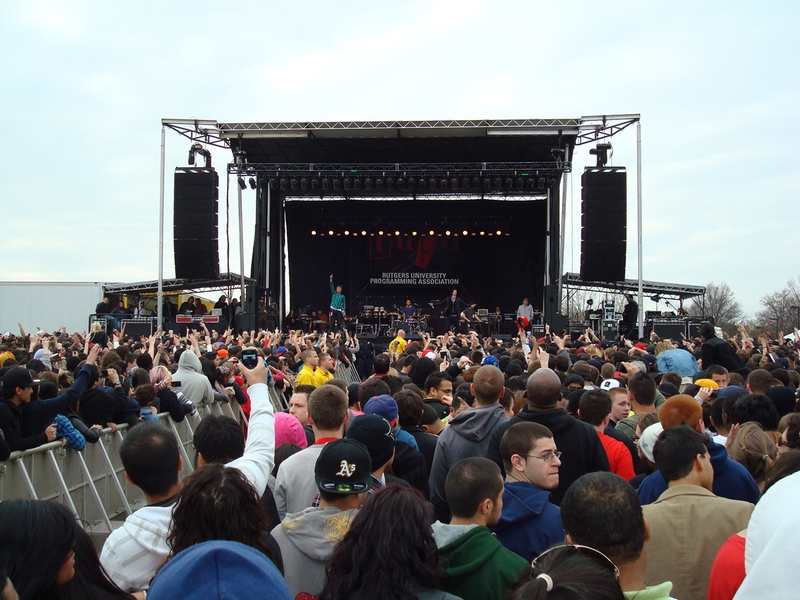 Our stages adhere to DOT, NHTSA, and Fire Code requirements. are all provided to ensure a safe performance. The MAP 24-16 is our most popular Stage. 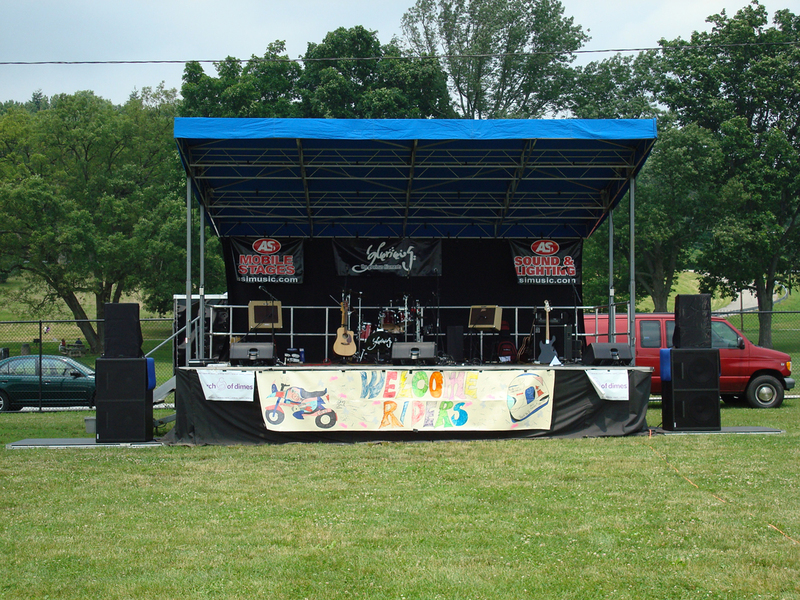 It is very versatile and can fit in places where no other Mobile Stage can be setup. It features a mechanical roof system that can support up to 2800 lbs. for lighting. This stage is perfect for small to medium size events. Floor design Live load 100 lbs. p.s.f. The MAP 24-20 is a larger version of our popular MAP 24-16. It is very versatile and can fit in places where no other Mobile Stage can be setup and be towed with an SUV, Pickup or Van! It features a mechanical roof system that can support up to 2800 lbs. for lighting. 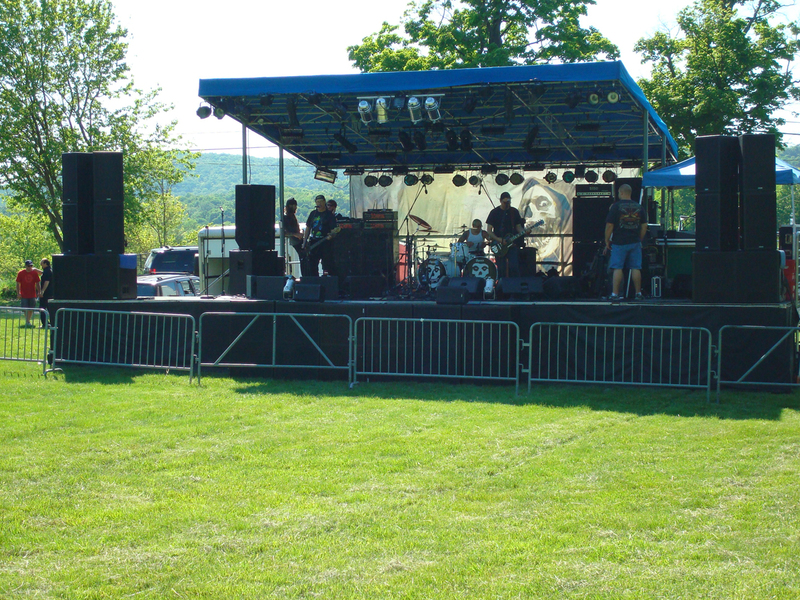 This stage can also be setup with an 8’x12’ area for monitor and tech areas. 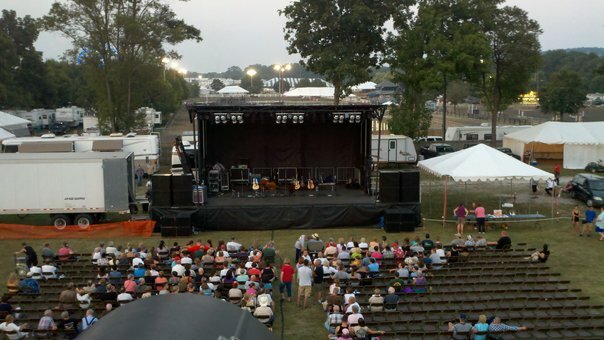 This stage is perfect for small to medium size events and festivals. The MAP-32 is a medium duty fully hydraulic mobile stage that can be towed with a HD Pick Up! It features an inclining bow front roof which offers a unique appearance that is truly one of a kind. The SL-100 is a heavy duty fully hydraulic mobile stage which is the strongest model of its class. 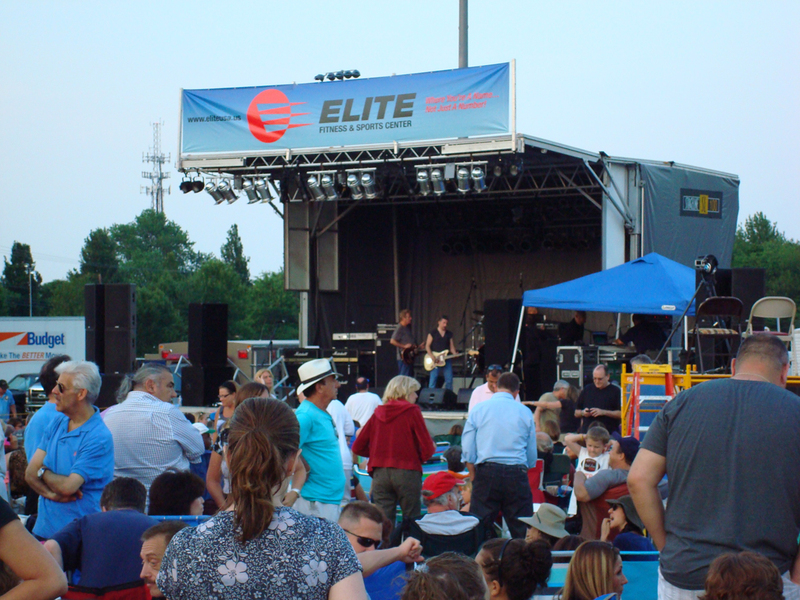 It is equipped with 2x outriggers designed to support line array speaker systems up to a capacity of 800 lbs. This stage is perfect for medium size events and festivals. Roof lifting capacity 3,800 lbs. Roof Load capacity 6,500 lbs. The SL-250 is a heavy duty fully hydraulic mobile stage which again is the strongest model of its class. The SL-320 is a heavy duty fully hydraulic mobile stage which is in a class by itself. 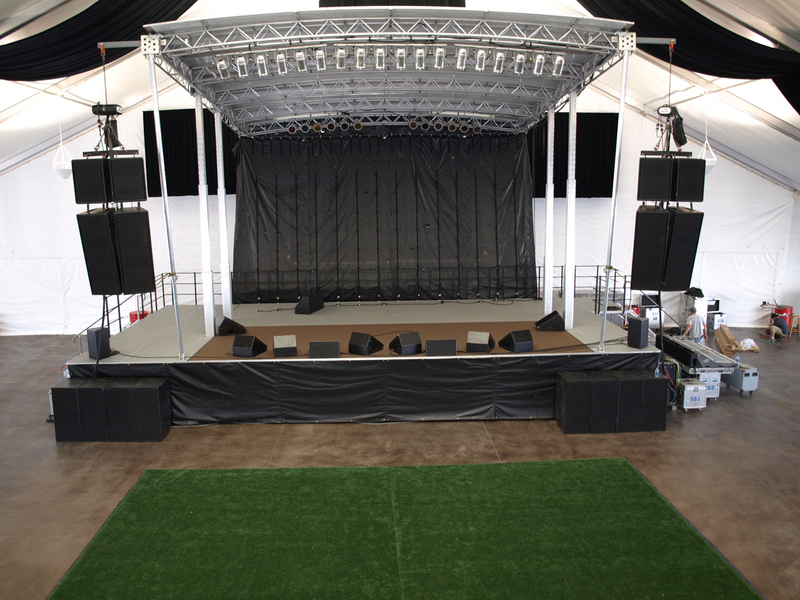 It is equipped with 2x rigging beams designed to support large line array speaker systems up to a capacity of 4,000 lbs. 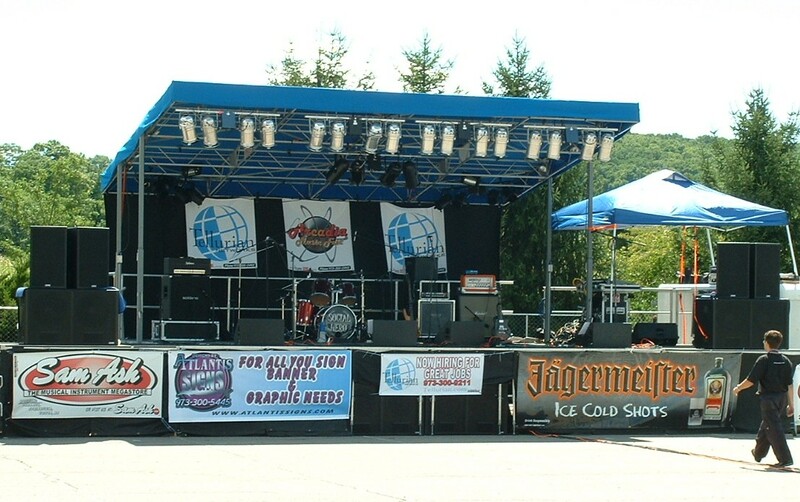 This stage is perfect for very large epic size events and festivals.